YouTube, I Tube, WE Tube! - Holy Smithereens! YouTube, I Tube, WE Tube! When I woke up 3 days ago (Friday), it was just another cold Canberra winter morning. Then when I looked at my phone to check the time, I realised something. Exactly ten years ago, on just another cold Canberra winter morning, Zombie and I got married. We got married two more times after that. Our three weddings spanned seven months altogether. And because we had so many videos of our weddings and still a lot of family and friends around the world who weren’t able to catch the three cities of our ‘wedding tour’, we looked for a way to share those videos. So I decided to create a YouTube channel. Uploaded 4-5 videos of the weddings. And this was how my YouTube channel was born. I’m dedicating this post to my YouTube channel. This is not sponsored at all. I just realised that out of all my social media channels, it is YouTube that I take for granted the most. 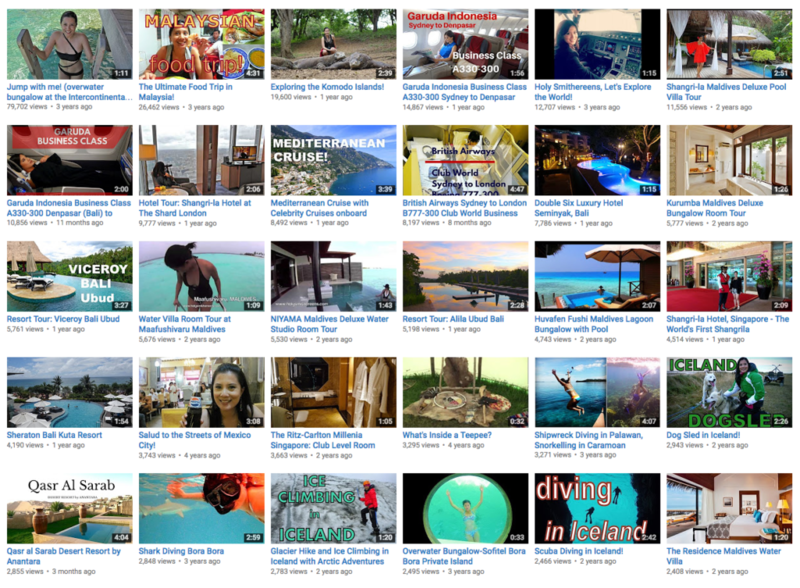 I’ve been using YouTube just as a medium to upload my travel videos to accompany the blog posts. This YouTube channel of mine, almost ten years old now, has been silently chugging along. That’s how I treated the channel – like the plain but dependable best friend and sidekick to the protagonist, which is this blog. But I didn’t realise that this sidekick in itself has been growing steadily. It’s brought some amazing opportunities (and is actually the main reason why I became a travel blogger!) yet I never gave it the credit it deserved. 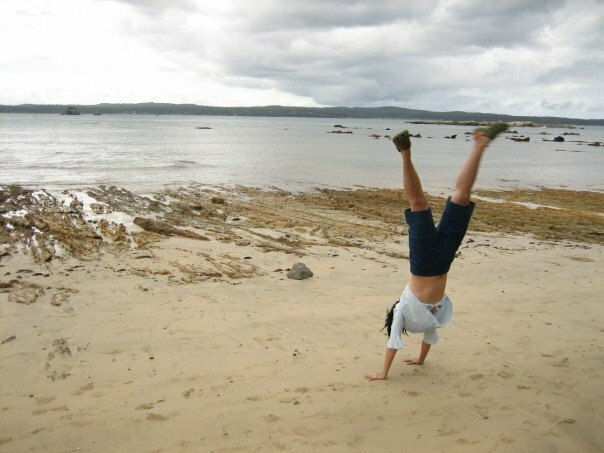 Over the years, we uploaded some stupid stunts we created during our travels. Some A lot of it is just so silly I’ve decided to take down a few. And in 2012, we booked a trip to Tahiti. On a whim, my cousin suggested we film a video of me rolling from the bed and straight into the ocean. I never say no to ridiculous ideas, so I did the best I could. This was an entirely personal trip (I wasn’t even a travel blogger then) and as I didn’t even know anything about YouTube rules, I used music that was copyrighted. This led to the video being muted for a long time until I found a less appealing, but approved music to use. Well this one single video is, how shall I say it… the magic beans to Jack’s (or in this case Jean’s) beanstalk. A Middle-Eastern based airline seemed to notice the video and contacted me. After a handful of emails (and a LOT of research from me), my eyes were then opened into the world of travel blogging – and what one can make (and get) out of it. I could hardly believe it. Someone wanted to work with me because of all this tomfoolery? If not for this video, I wouldn’t even know about the world of professional travel blogging! Like all my other videos, this one just sat there until a couple of years after it was posted, a food company contacted me. Apparently, they liked the way I ate (??) and offered a paid ambassadorship deal. I had to laugh out loud when I read the email. I mean, me?? of all people! If I received the email months or a year earlier, I may have said yes. But I’ve increasingly made my diet really simple boring (health and ethical reasons). By the time I received the proposal, I had already taken meat (except seafood) out of my diet completely. I turned the offer down. Not only was it unrelated to Holy Smithereens. I have to be honest- it’s really not my interest and would deservedly suit someone else more. There are now 128 videos and it’s steadily growing. It’s mainly a travel channel, and I plan to grow it more than just resort, hotel and airline tours (though they are my most viewed). I guess I’m just giving my YouTube channel the love it deserves after close to ten years of being there, entertaining myself and hopefully others too. I hope you give this old channel a little love too and subscribe! Do you have a YouTube channel? What do you mainly post? Leave a link and let’s follow each other! well done Jean! Lovely to see you growing on Youtube!!! Im always so jealous of yoru videos – i wish i have the time an patience to do them! loving the drone footage overall! That bed to pool video was the best! Thanks Sammie, that’s my favourite to this day. It was purely personal, shot without thinking of views / PR / blog and I think that’s why it has the most views. And that’s the ironic thing – once you are a blogger, it’s those kinds of unguarded / don’t-care-at-all moments that you miss! As always, great job Jean! I think you know my youtube channel The Luxe Insider – well, in a much less advanced quality and post-arrangement – for which I used a Wenpod iPhone stabilizer for recording. I am now considering to buy the newest DJI Osmo device (also for smartphone), do you know it? Thanks so much Francois! I have subscirbed to your channel, I love your music for the hotel videos, very chic!